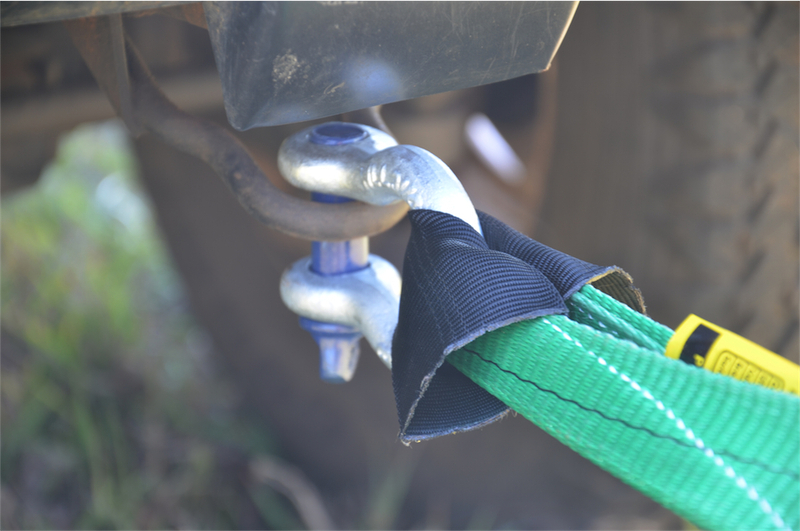 A rated alloy recovery bow shaped shackle with screw pin (US Fed spec RR–C-271b) is used in a recovery situation to attach recovery straps, chains, cables or ropes as well as bridles and lanyards to professionally fitted recovery points. The sizes suit a variety of vehicle weights so it is worth taking a selection. Do not use commercial (unrated) or D shackles for vehicle recoveries. Watch the video clip below of a simulated 'failed' recovery which may occur if the incorrect shackle is used. On the rated shackle the pin and shackle body will be of a different diameter (pin is thicker). The body is embossed with the Work Load limit and batch number. The bow presents a larger inner working radius offering more space for attachment of straps and greater working angles when recovering. Always remember to slacken off a shackle pin by one half turn before recovering, this makes it easier to open afterwards. Watch the videos below for a simulated failed recovery! 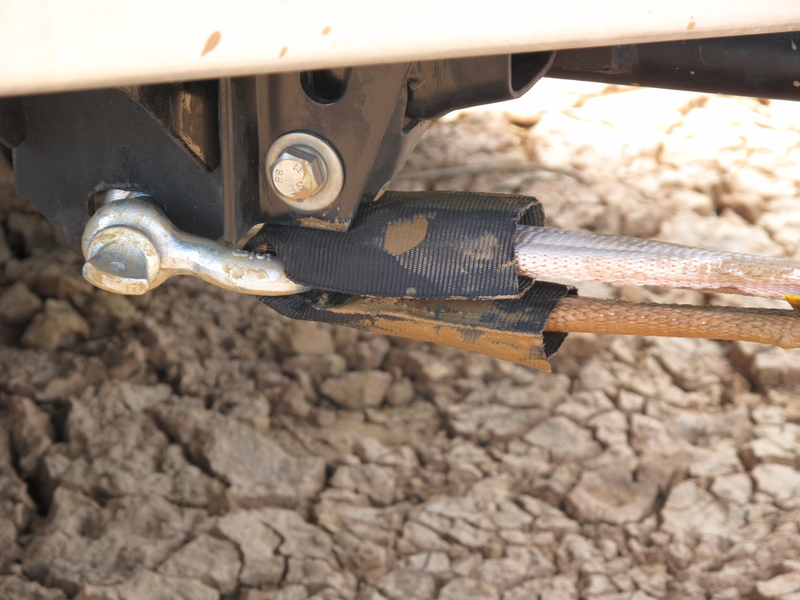 Always use a Rated Bow Shackle during a recovery, to help prevent a recovery point from failing.